Investors soured on Yum Brands (YUM) stock after the company said Tuesday it's not likely to hit its earnings goal for 2015. The company's stock dropped 17% Tuesday evening, triggered by a lackluster earnings report and news that it's recovery in China is slower than expected. It's stock is still up 16.9% over the past year despite Tuesday's dip, and Yum's overall earnings per share were up 14% last quarter. China has been a primary focus of Yum's plans for growing the American fast food staples it owns: KFC, Pizza Hut and Taco Bell. 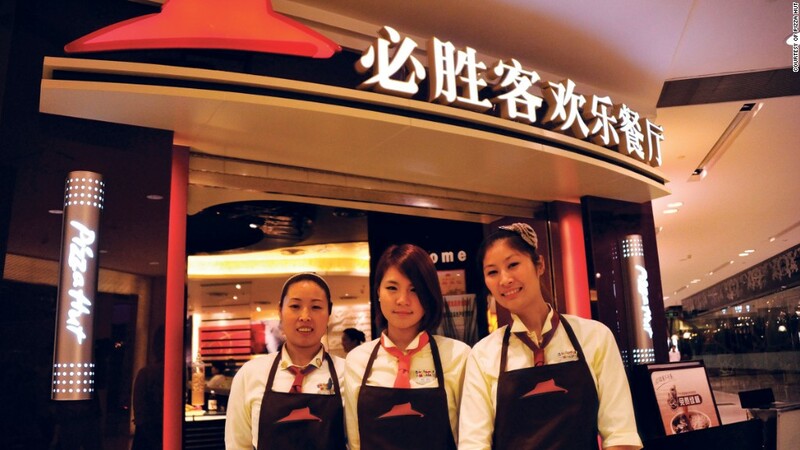 But the brand has been hammered by scandals over the quality and safety of food sold at KFC outlets in China. Same-store sales in China were negative last year, and the company still expects those figures to end 2015 in the red. The company acknowledged that its China revival was more difficult than anticipated. "Our growth fundamentals in China, including new-unit development, remain intact," CEO Greg Creed said in a statement. "However, we're experiencing unexpected headwinds." He said the company will take "significant actions" to get Chinese sales back in shape. Yum's earnings were also hurt by higher advertising spending and unfavorable currency exchange rates for its sales abroad.